talaya is using Smore newsletters to spread the word online. 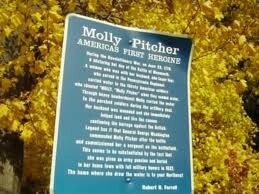 Molly Pitcher was a famous woman in history. 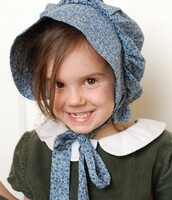 She was born in 1754 in Trenton, New Jersey. She grew up most of her life in Carlisle, Pennsylvania and her real name was Mary Ludwig.she was also a brave women.she also worked really hard.she was one of the ones who saved our lifes.she also fougut for us. SHE WAS MARRIED SHE WORKED HARD. She worked as a servant girl and married a young barber named William Hays when she was sixteen. When her husband went to fight in the Revolutionary War, Molly went along. 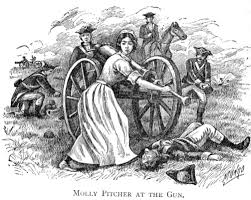 Molly followed her husband to the battle of Monmouth on July 28, 1778. It was an extremely hot day and the soldiers were falling from the heat. 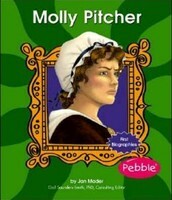 Molly carried pitchers of water to the men. That's how she got her name. 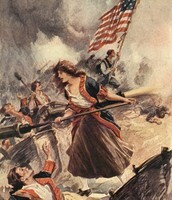 She also tended to the wounded and when her husband was overcome by the heat, she took his place and manned the cannon. This was important because the cannon crew was so exhausted they were about to be withdrawn. Molly stayed at her post in the face of heavy enemy fire acting as a gunner. Without her, the battle would have been lost. 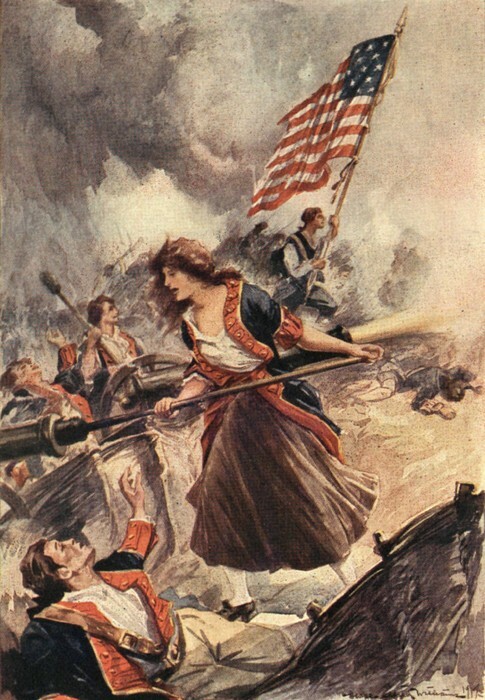 General Washington made her an officer and afterwards, she was called "Sergeant Molly." 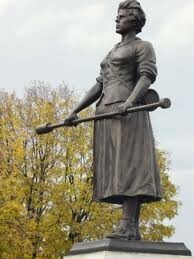 In 1822, in recognition of her heroism, she was given a pension by the Pennsylvania legislature. 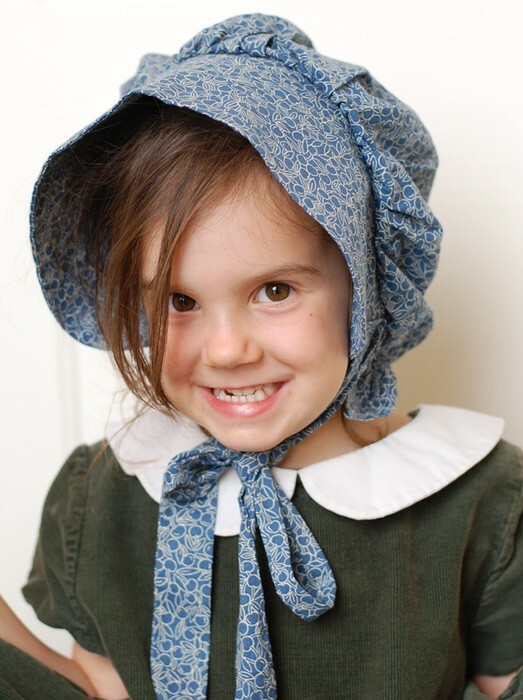 olly Pitcher (aka: Mary Ludwig Hays McCauly) was born in 1754, near Trenton, New Jersey. 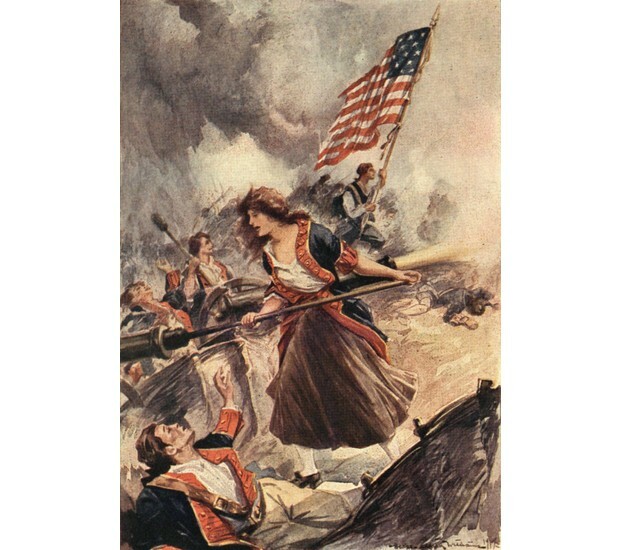 During the American Revolution, she accompanied her husband to the Battle of Monmouth and carried pitchers of water for cooling the cannons, thereby earning her nickname. 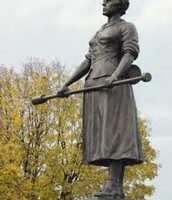 Supposedly, after her husband collapsed, she took his place at the cannon and served heroically through the battle. She died in 1832.
she also fought for her husband.